People are more receptive to content that feels tailored to their needs. To produce this, inbound marketers turn to buyer persona profiles. Buyer personas can provide accurate estimations about lifestyle and behaviour. Knowing who you want to target, and why, will help you to strategise your efforts and grow your online audience. For example, where will you post? Do you want to generate leads on Instagram, or are your customers more fond of Facebook? The demographics for each network vary noticeably. Ask yourself: which social media platforms do your ideal customers spend most of their time on? What kind of content do they expect to encounter? Use your buyer personas as a guide. Social planning should include post times. Posting at optimal times, when traffic is at its highest, will increase the likelihood your post gets seen. The key to increasing reach on social is consistency. People are more likely to subscribe to a page if it reliably provides fresh, captivating content. Being active on social media also helps you achieve better rankings in search engines. SEO makes you easier to find, which increases the size of your potential audience. Following a blog promotion schedule can make it easier to consistently deliver fresh content. Commitment makes you more likely to devote the time it deserves. In a hectic working week it can be hard to set time aside for social media management. But poorly maintained channels prove ineffective. Training your staff to use social media for business is a valid option for alleviating stress on the workforce. However, if you find social media management still puts too much strain on your time or resources, you might consider outsourcing your social media marketing. A competent digital marketing agency can be trusted to organise your social media campaigns and deal with community management. Posts can be scheduled days in advance. Twitter and Facebook have built in scheduling features, and HubSpot provide a horde of tools for social media marketing that speeds up the process. For inbound marketers, social posts often revolve around content offerings. This risks being one-dimensional. Repeat sharing has been said to increase the chances of your content going viral. However, if you share the same piece of content more than once create a diverse post schedule. A short description of key points can act as a teaser. Debates can be started using open questions inspired by the post. Sharing striking pull-quotes or factoids can stir emotion or spark curiosity. Studies show that people rely more heavily on emotions than information to make brand decisions, which is why using emotions to drive connection and awareness is such a popular move for marketers. Catchy headlines, optimised keywords or hashtags and compelling imagery will all attract people and encourage them to engage in discussion. Variety is the spice of life. Some people enjoy reading in-depth articles, others like to have things briefly summarised. Some would rather listen or watch than read anything at all. Mixing up your content offers increases your reach by catering to different preferences. Share a combination of blogs, infographics, images and videos to keep things interesting. To keep engagement levels up, embrace your follower’s other interests. Content curation can aid you. This could take the form of industry news, educational material, video, images, jokes or memes. Engagement with your followers is sure to improve your reach. Followers appreciate personalised, authentic interactions. Acknowledge feedback and answer questions quickly. The bad news is that growth doesn’t happen overnight. To achieve social media success you will need to monitor feeds, spot trends and maintain your social profile on a daily basis. Unresponsive profiles, spam, offensive material, clumsy automation - these are all guaranteed to turn people away from a business profile on social media. Your social profile can be used for customer support, competitor analysis, industry news and messaging tasks. By building an online community, you build authority. Make your business profile a hub for discussion by providing helpful content, tipping followers off about industry gatherings or holding Q&A sessions. You can expand your audience by inviting followers to join you from other platforms. 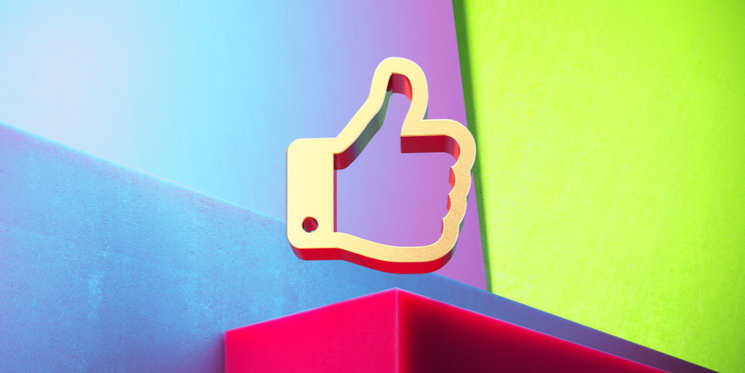 Tweets and posts that ask people for likes and follows are likely to get lost in the ether. If you wish to cross promote your social channels, it is better to do so in a helpful and unobtrusive way. For example, your Facebook, Twitter, LinkedIn or Instagram bios all provide an ideal space to place links to other platforms. You can also place handy links in emails, or on your website. Monitoring your prospect's social activity will give you a better understanding of their habits, interests and concerns. You can pull data that reveals demographics and active times as well as which posts your audience most enjoy. From this, you can gauge engagement levels and identify trends. 83% of B2B businesses believe social media monitoring and listening tools are important – and yet not all businesses do it consistently or well. As many as 90 percent of social messages to companies get ignored. Social monitoring and social listening are mentioned frequently in marketing blogs. Monitoring is a daily endeavour that involves engaging directly with followers - searching for mentions and connecting with people online. Typical customers expect a reply from a business within 4 hours. In reality, the average company response time is 10. Social listening casts a wider net. This activity involves combing platforms for messages that include keywords or topics relevant to your business. It is used to influence future campaigns. And it’s not just prospects and clients that you can learn from. On social, you can also get a better understanding of your competitors and the market. Having a robust social profile enhances brand awareness and inspires confidence in potential buyers. These simple steps will help you to improve your reach and make more meaningful connections on social.